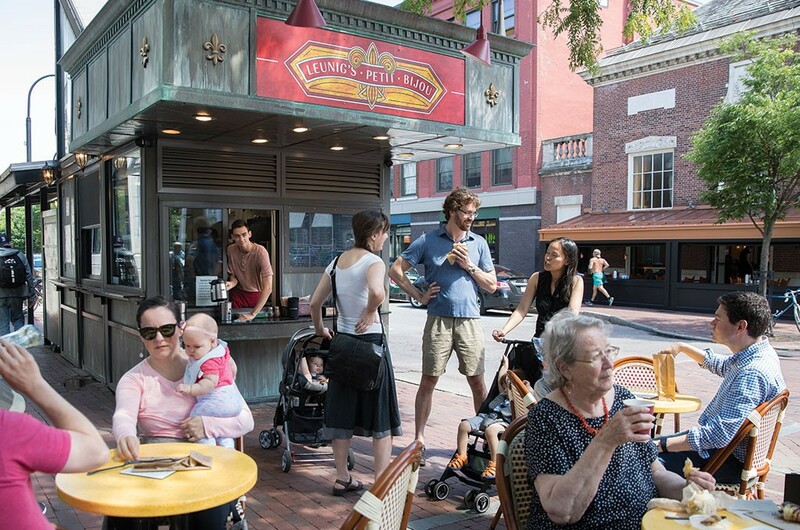 Caffeinate like a Parisian at this cozy Church Street Marketplace kiosk, run by nearby Leunig's Bistro & Café. In addition to fresh-brewed coffees and espresso con panna, there are homemade apple tarts, French macarons and pâte de fruit. For to-go lunch, the duck-confit poutine is locally famous, and the baguette sandwiches layered with cured ham and local cultured butter — or foie gras pâté with cherry compote — are très délicieux. Counter Culture Coffee, teas from Vermont's Stone Leaf Teahouse, kombucha on draft and handcrafted pastries draw bean brainiacs and the coffee-curious. Bonus: You can bring your dog! Exposed beams and rustic wood floors make this funky coffeehouse feel more like a tree house. Enjoy a homemade macaroon with your organic, fair-trade roast or made-to-order smoothie. The single-origin coffees here hail from small farms and roasters around the world. Sample the weekly offerings in an espresso drink, cappuccino or cup of drip. Fuel up with fresh-roasted coffee, handmade ice cream or affogato. In Burlington’s South End, chef Owen Hoppe dishes inexpensive locavore breakfasts and lunches. This tiny spot is a downtown go-to for fast, quality caffeine, including custom espresso roasted locally at Earthback Coffee Roasters. Sweet and savory treats come from nearby Barrio Bakery. For more than two decades, this buzzing café has pleased the coffee-drinking public with its in-house roaster, speedy service and vegan peanut butter bars.